Domaine Forget is an academy of music and dance recognized internationally for its outstanding quality of instruction. It is here, on the heights of Saint-Irénée in the magnificent Charlevoix region, that some 500 young students from around the world gather every summer. On the program : masterclasses, individual lessons, chamber music, lectures, special workshops and concerts for every taste. 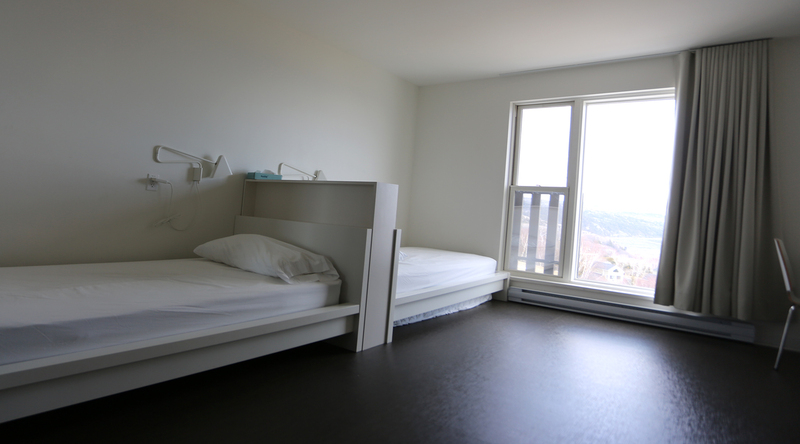 The Paul-Lafleur Pavilion is a complex of double-occupancy rooms with 1 shared bathroom per 4 people. All rooms have a microwave oven and small refrigerator. A laundry room, student living area, and classrooms are located on the ground floor. Our recently renovated dorm rooms comfortably 4 students. Each unit is equipped with a sink, microwave oven, small refrigerator, shower and toilet. 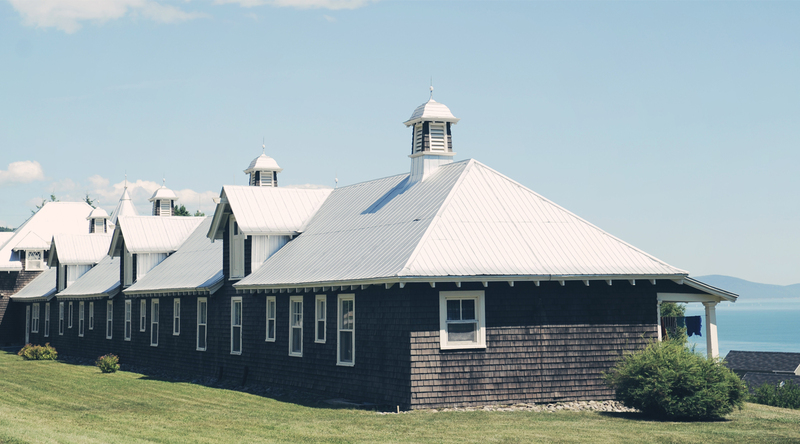 Note for visitors, parents, and friends: the Domaine Forget Studios, dorms, and student residence are reserved for the exclusive use of registered Academy students throughout the summer (June–August). Guests are welcome to use the cafeteria. Meal tickets must be purchased in advance at the Box Office. Camping is not permitted at Domaine Forget. The Domaine Forget scholarship fund is an important tool designed to encourage music and dance students to pursue their education and to meet the growing need for financial aid. A total of $175,000 in scholarships will be awarded to 2019 Academy participants. All Academy applicants may simultaneously apply for a scholarship when filling out their applications. Admission and scholarship applications will be assessed by a jury comprised of program faculty. Scholarship winners will be chosen on the strength of their application (recordings and cover letter). Merit scholarships are awarded at the end of each session to participants who exhibit outstanding performance. These scholarships can be redeemed the following summer for a new session in the same discipline. Every year, scholarships of at least $5,000 are awarded to young musicians and dancers by generous patrons who fund named scholarships. Private scholarships are awarded after applications have been assessed during the admissions process. Young Talent Scholarships are offered by Domaine Forget at competitions and festivals in partnership with recognized organizations and educational institutions . These scholarships are linked to participation in a Domaine Forget Academy program in the current year. The generosity of patrons and friends of Domaine Forget funds scholarships awarded to deserving participants. if you wish to consult the complete listing of our partners and benefactors? For all the information you'll need respecting transportation (arrival and departure), recommended items to bring, information on health care in Canada and allergies, please view and print a copy of the documents available for download. The “Information and Rules” document will be useful throughout your stay at Domaine Forget. It details both general information on the organization of activities and the rules in force at Domaine Forget.